Are you a High School student living in Berkeley Heights? Do you wish to pursue a career in the medical field, or are you just interested in helping others in your community? 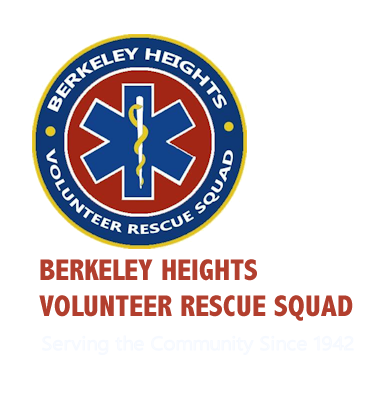 If you are willing to learn, and willing to volunteer your time to help others, then being a Cadet on the Berkeley Heights Volunteer Rescue Squad could be for you. The opportunity to make a difference in our community! Cadets are required to ride a minimum of 3 hours per week, attend monthly cadet meetings, training sessions, and participate in a percentage of squad related events. Will becoming a cadet member cost me anything, or do I have to purchase anything? No, there is no cost to you. 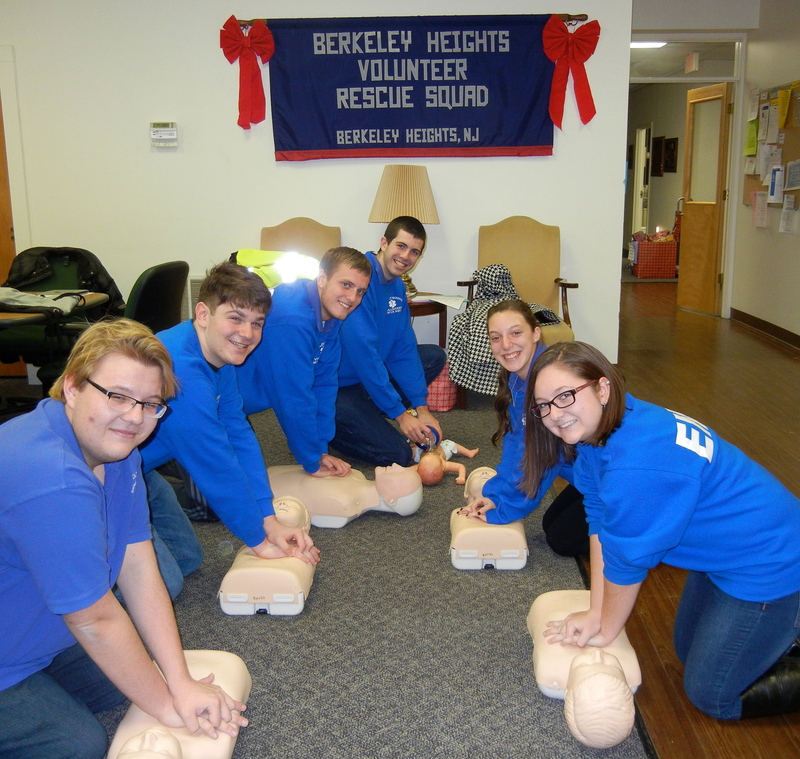 The BHVRS will certify you with free CPR, and First Aid training, along with providing you with a cadet uniform. After riding a minimum of 4 months with the BHVRS, and being in good standing with the BHVRS, you are eligible and have the option to take the EMT class, paid for through the New Jersey Training Fund. I do not drive; do I need a driver’s permit to be a cadet member? No, you do not need to drive. As long as a parent/guardian is able to get you to and from the Rescue Squad for your shift, you will remain in the building during that time. If you have a driver’s license, you are able to drive to the Rescue Squad for your shift, where there are allocated parking spaces available. I am active in a High School sport team/school club; will this affect my chances of becoming a member on the squad? No, not at all. We work with each cadet and their busy school schedule, so they are able to fulfill their requirements with the BHVRS and maintain their commitment to their other activities, and academic needs. My parent’s are nervous, and so am I? We are happy to answer any questions or concerns you may have at (908) 464 0013. All cadets ride their shift with an adult EMT present at all times on calls. 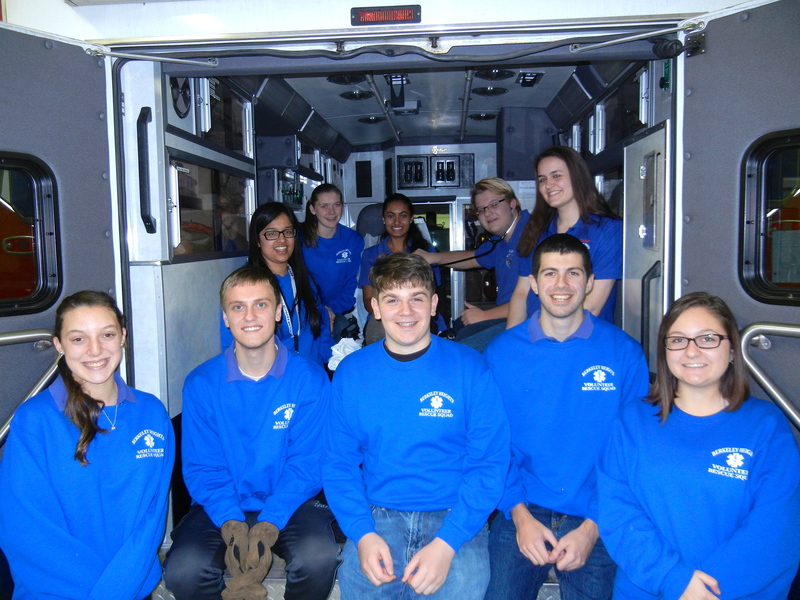 Our EMT members regularly work with the cadets and are trained to prepare a cadet for all types of calls. The cadet program has a group of EMT adult liaison officers in contact and working with the cadets during their membership, to ensure they are well trained, supervised, and comfortable in their abilities. We provide a safe environment for the cadets during their shift, where they are able to work on homework, projects, or relax. To apply click here for the BHVRS Membership Application and click here for the Cadet Supplemental Form and then email or mail both completed documents to the BHVRS. I want to help our community, but I am not sure attending emergency calls is for me; can I do anything else to help? Yes, why not apply for our Auxiliary membership. We have many other ways you can help.